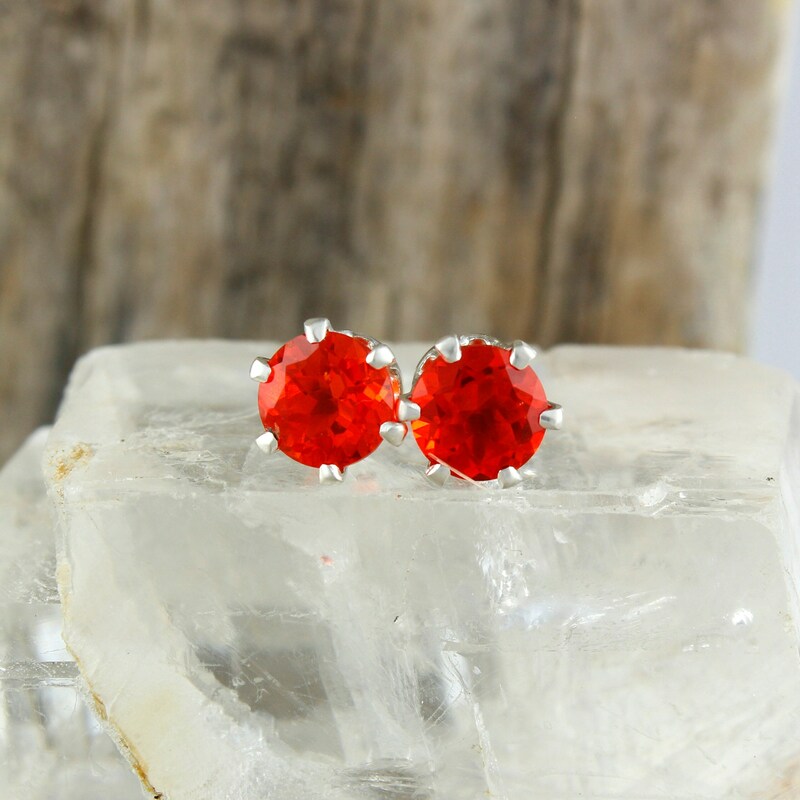 Natural Mexican Fire Opal Earrings -Sterling Silver Post Earrings -Mexican Fire Opal Studs: These sterling silver earrings feature two natural Mexican Fire Opal stones. 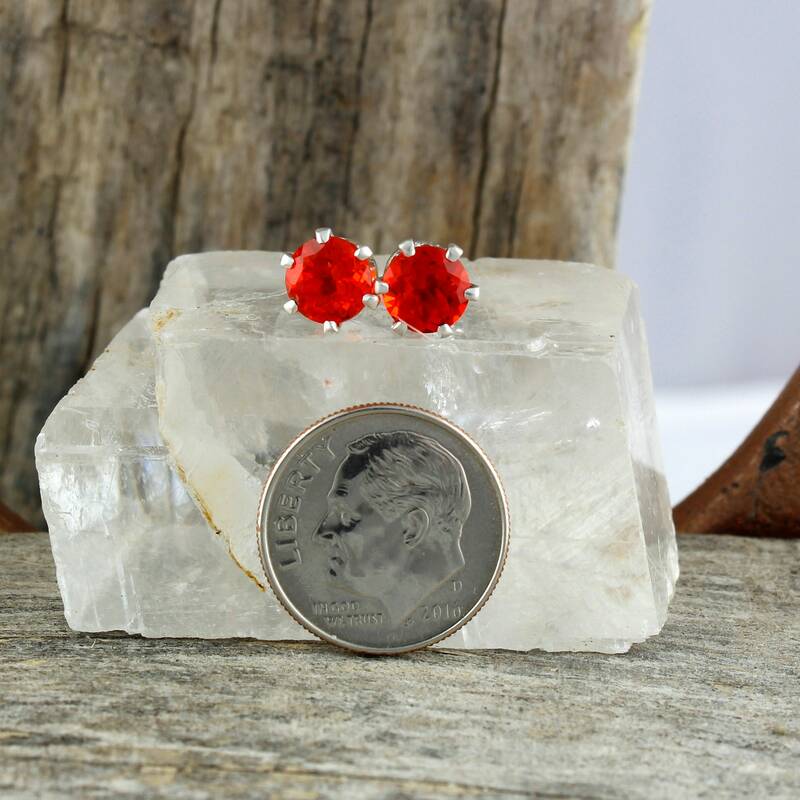 The Mexican Fire Opals are 6mm (1/4") in diameter and have a total weight of 1.6 ct. 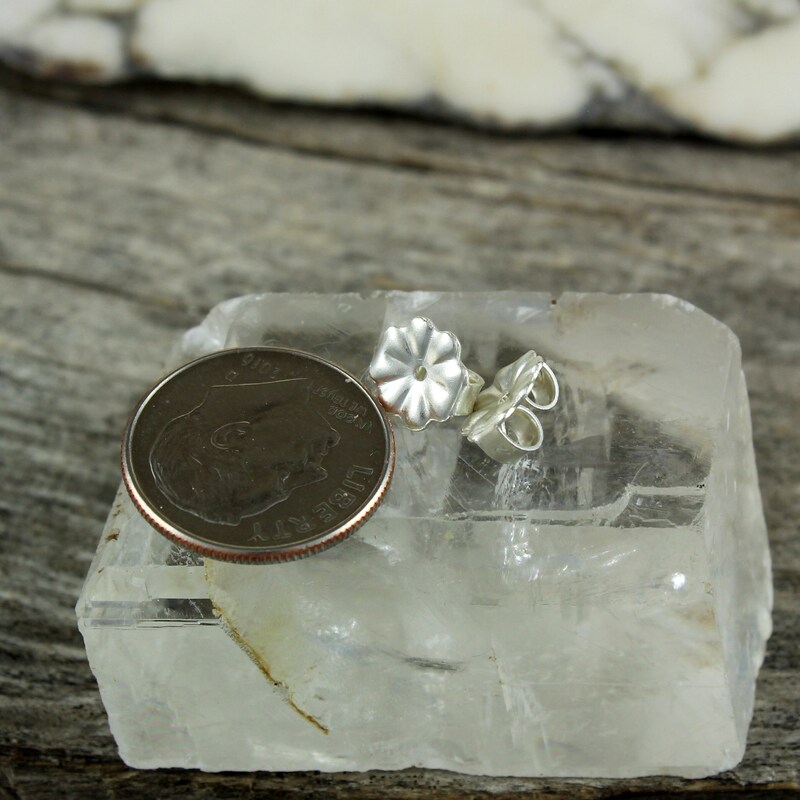 The large complimentary, included backs are 7mm (5/16") in diameter. 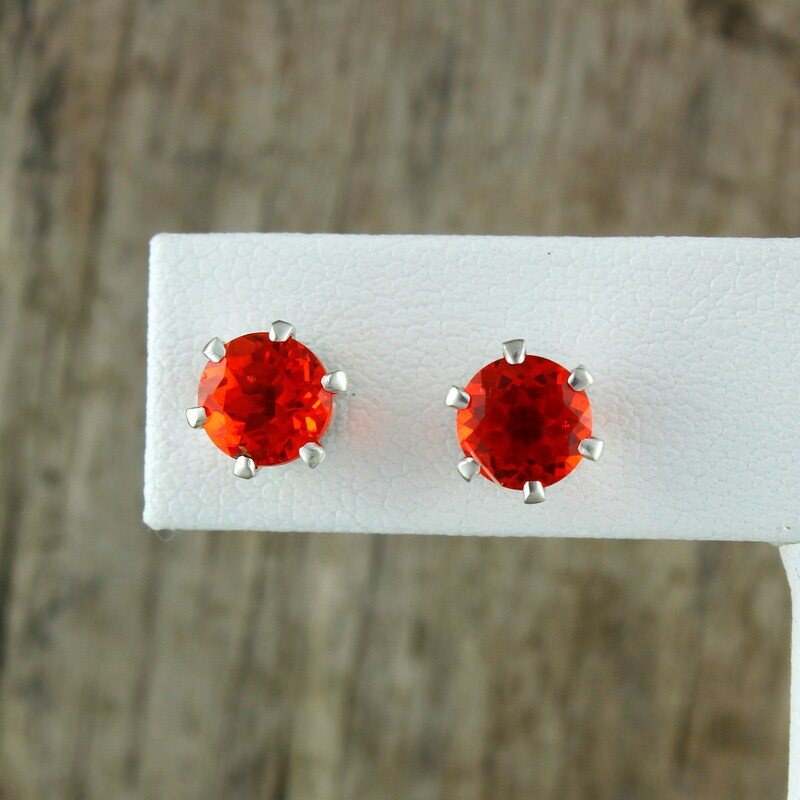 These stones have that fantastic deep red-orange color that makes Fire Opal so sought after! 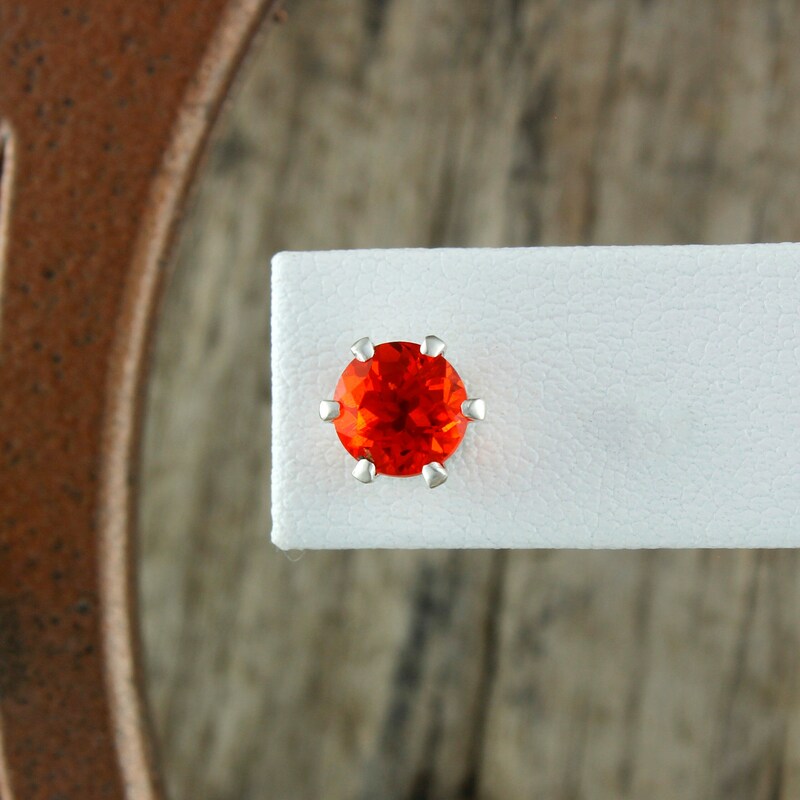 Mexican Fire Opal is known as a stone of passion and luck. 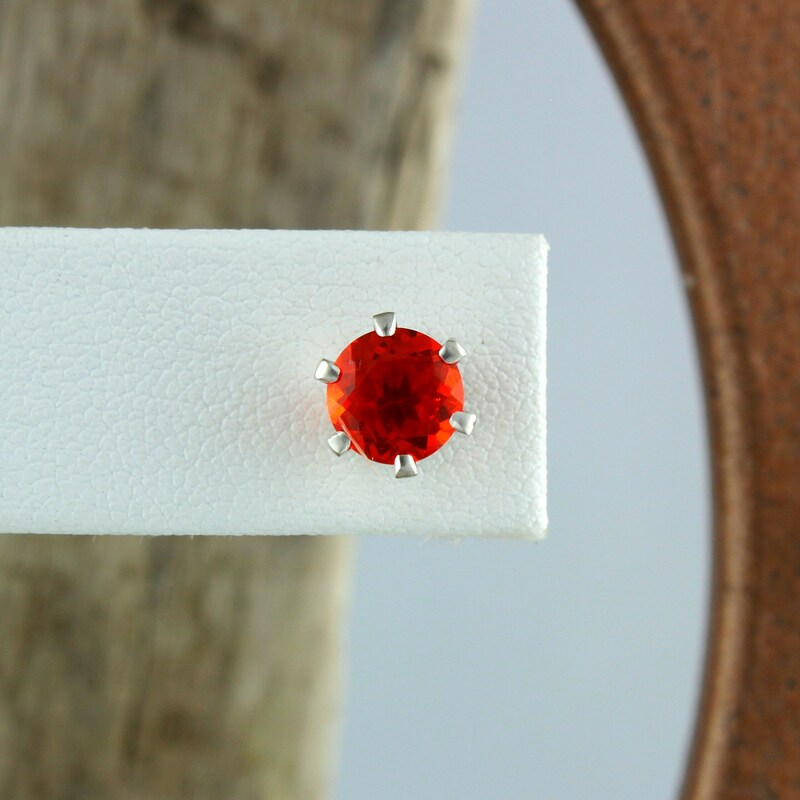 The Aztecs made jewelry from Fire Opal and referred to is a the "Stone of the Bird of Paradise". 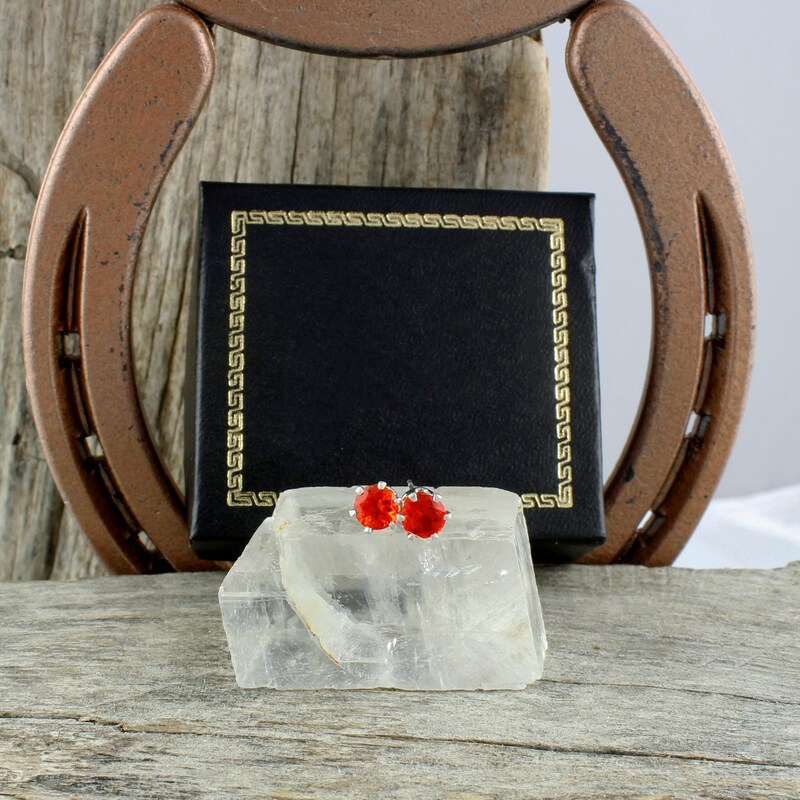 These are a quality pair of earrings that will make an excellent present, especially when paired with one of our pendants! 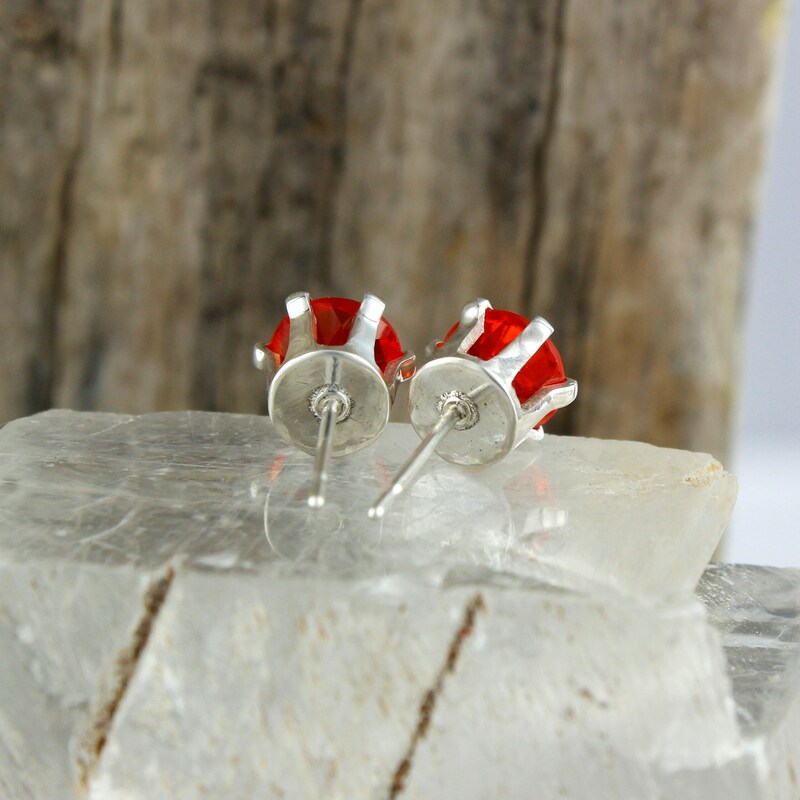 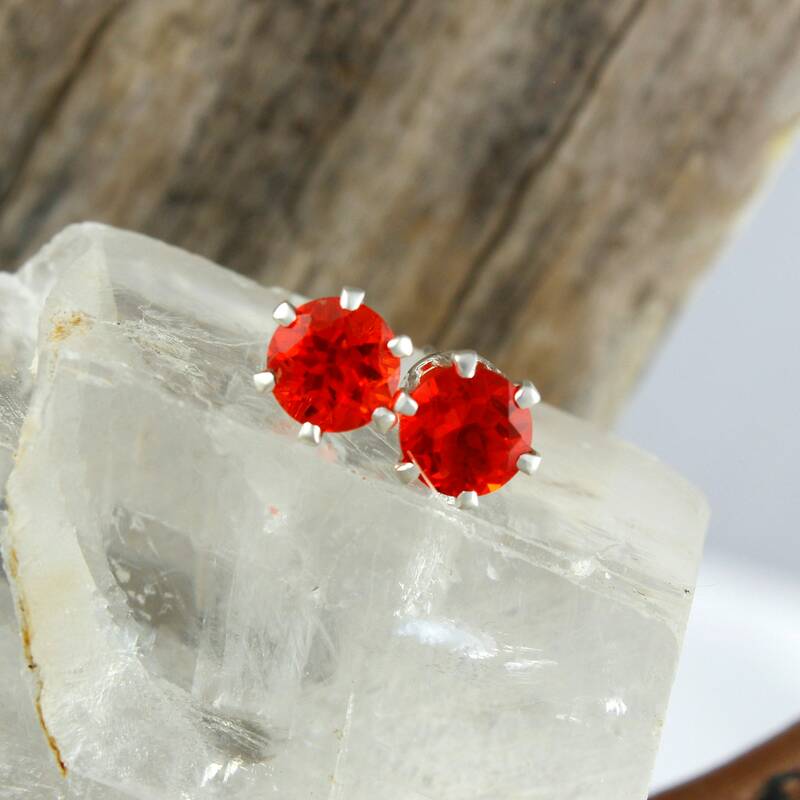 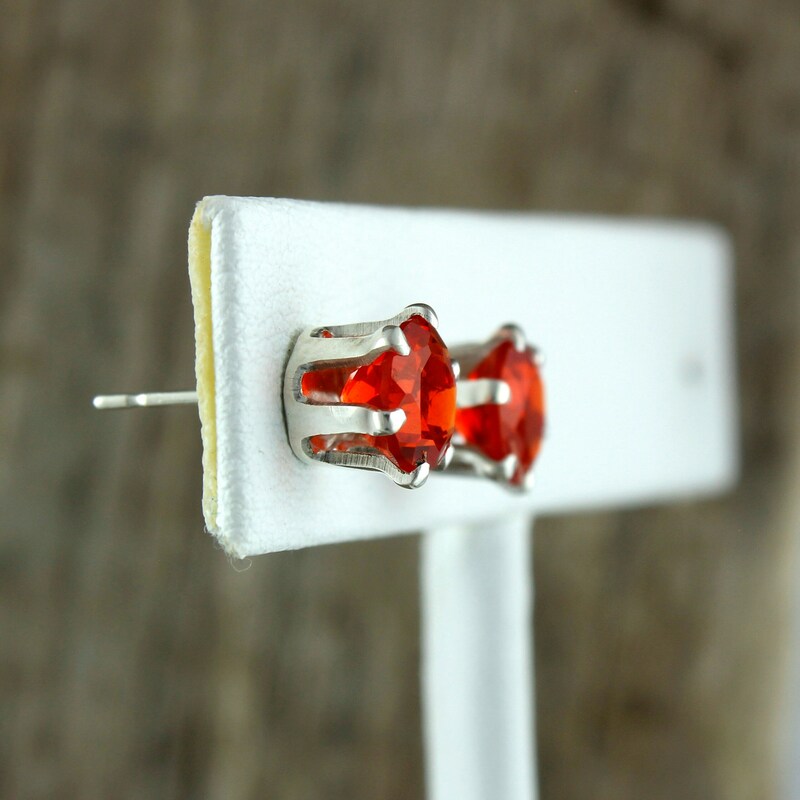 As with all our earrings, we will ship these earrings in an elegant gift box for no extra charge!